Roel is one of the Red Hat Solution Architects for Red Hat’s Middleware (JBoss) portfolio, for the Red Hat PaaS en Container platform OpenShift and Red Hat’s Internet of Things. Roel works predominantly on advising potential and existing customers of Red Hat on determining their way to the Open Hybrid Clouds: How do you design applications for the Cloud, how does one bring (existing or legacy) applications to Clouds and how does one manage applications in Clouds. 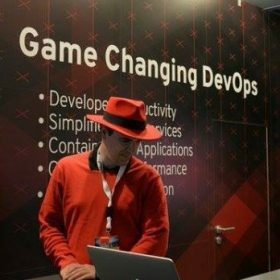 He also regularly speaks at customer, partner and Red Hat events to help create awareness, introduce the Red Hat portfolio and solutions and share how Open Source can help in future proofing companies.